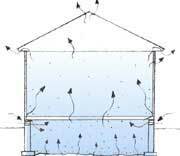 What is condensation and why is it happening in my basement? Is the SaniDry™ System portable if I ever choose to move? What is this white chalky substance "flaking" off my basement walls? My home was waterproofed by the builder just a few years ago, why do I have a wet basement? I want to finish my basement, is there a way to guarantee a dry basement all of the time? What steps should I take to best prepare my basement for finishing? I have some cracks in my foundation and a few in my basement, how do I tell if they are serious? I have cracks in the drywall on some of my interior walls. What caused this? How long does a typical foundation repair project take and how much of my yard will be disturbed? What is a wall anchor and how are they installed? What is a push pier and how is it installed? What type of warranty is offered on the work performed? Does the warranty transfer to the new owner if I sell my home? Why are vents in a crawlspace such a big problem? 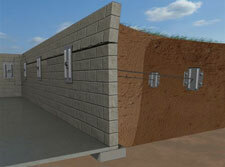 How can closing my vents and encapsulating my crawlspace save 20% of my energy costs? Simply put, sump pumps fail. Whether mechanical failure on behalf of the pump, or a power interruption (tripped breaker or storm) or the pump's inability to keep up with volume – a sump pump can fail and leave a homeowner with wet surroundings. Drain tile (an exterior system of tile/rock with a perforated pipe for drainage placed below grade along the perimeter of a building's foundation) often become clogged and rendered useless due to certain soil types, deterioration and heavy rains. What steps should I take to best prepare my basement for finishing? Finishing your basement can increase the living space and value of your home. If you are going to finish your basement, we recommend taking several precautions to protect your finishing investment. If you have already finished your basement, the majority of these precautions can still be made. For more information on each of these preparations, please contact us today. Sump Pump with Battery Backup. 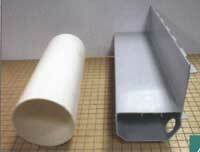 Guard Against Frozen Sump Discharge Lines. Keep the Floor Warm, Dry and Comfortable. 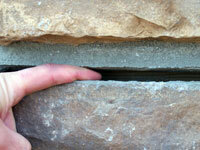 Inspect and Replace Basement Windows. Check Gutters, Downspouts, and Window Wells. I have some cracks in my foundation and a few in my basement, how do I tell if they are serious? 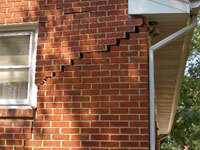 Most people have no idea how to tell if cracks in their foundation walls are serious or not. 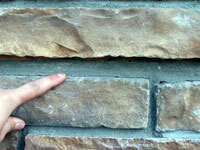 Some "shrinkage cracks" are common in poured concrete walls and floors, but other cracks are not. 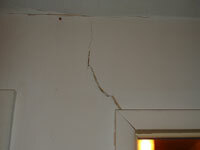 In most cases a crack is a sign that something has moved or settled. This is especially obvious if the crack is wider at one point than another. 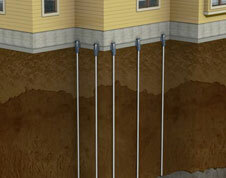 The bottom line with foundation cracks – it's a good idea to seek a professional's opinion. Thrasher Basement Systems, Inc. provides property owners with a free evaluation of their foundation and the opportunity to consult with our certified representative. If repairs are recommended, a written estimate is provided for free and you are under no obligation. 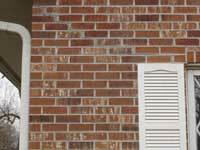 When it comes to concerns with your foundation, cracks in bricks, a tilting chimney or bowing basement walls, don't delay and subject your property to costly repairs in the future. Contact Thrasher Basement Systems, Inc. for a free evaluation today.